Masterpieces from private collections for the rest of us. Publish a work from your own collection! Hans Erni: Extract from “Einsame im Plisseekleid”. Tempera on paper (41.5 x 20.5 cm). 1993. From private collection (Switzerland). 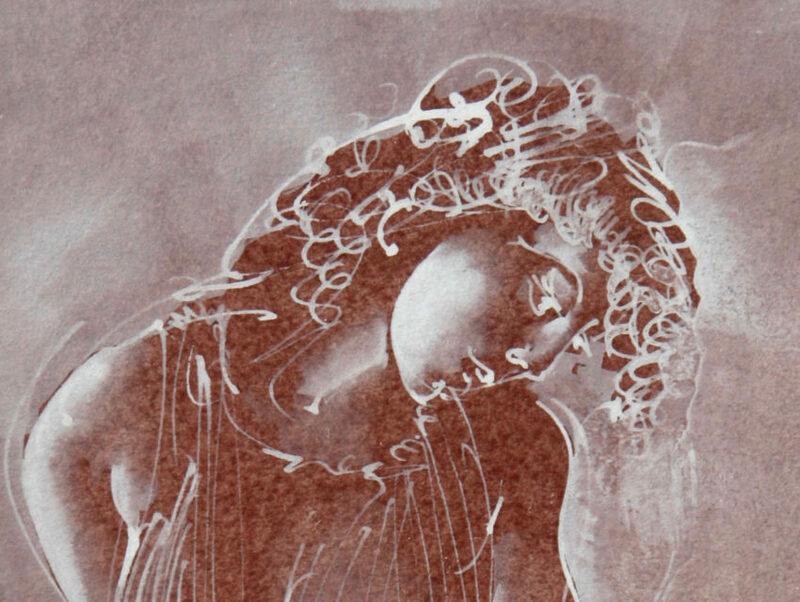 On this website, private collectors of works by the Swiss artist Hans Erni publish high quality photographs of their unique originals. Do you want to know more about this open collection? Or do you own original works by Hans Erni and would you like to make them accessible to a broader audience? Here you can find more information. Very nice collection, thanks! How can I contact a collector? Hi Peter, thanks for your question! Direct contact with collectors is not yet implemented. Please tell me – via the contact form – which work you are interested in and I will ask the collector if he wants to contact you or if he prefers to remain anonymous. Is it possible to visit a collector in order to enjoy the originals? Hi Elena, thanks for your question! Direct contact with collectors is not yet implemented. Please tell me – via the contact form – which work you are interested in and I will ask the collector if he wants to contact you or if he prefers to remain anonymous. I would like to organize an exihibition with some works of your collection. Can you help me? Hi James, nice idea! Please send me a description of the planned event and the works you are interested in over the contact form. I will then contact the collectors and ask them if they want to contribute to your exhibition.